All of our properties where you can plan your advertising campaign, with traffic and target data. Libero.it is the everyday starting point for the browsing habits of millions of users. It provides a wide range of contents and services: free webmail, search engine, news, vertical channels, community, videos and much more. 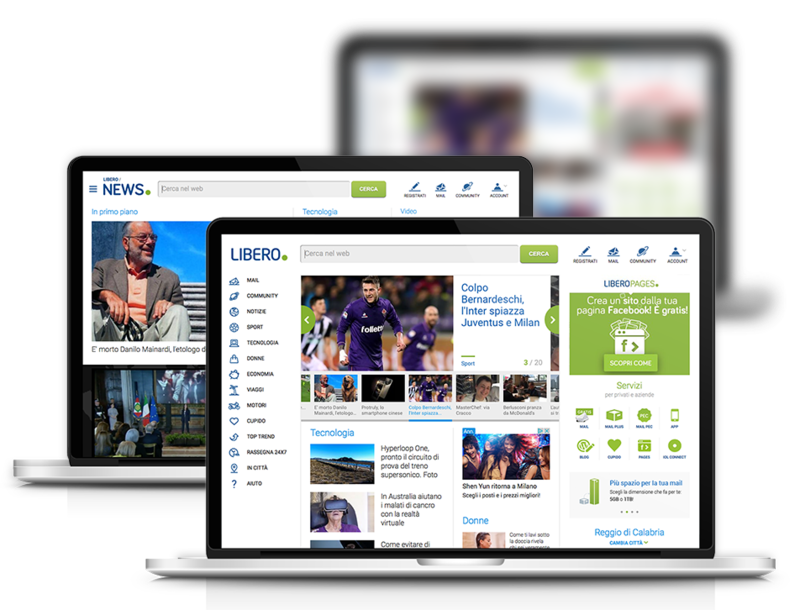 With a generalist approach and a broad audience Libero is the reference site for any strategy of national online advertising.